Philosophy for AS and A Level is an accessible textbook for the new 2017 AQA Philosophy syllabus. 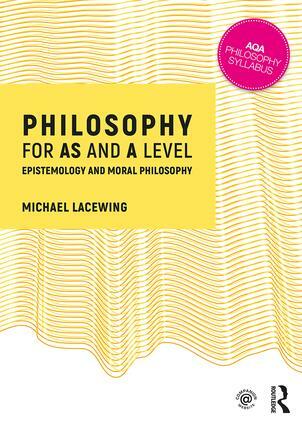 Structured closely around the AQA specification this textbook covers the two units shared by the AS and A Level, Epistemology and Moral Philosophy, in an engaging and student-friendly way. With chapters on 'How to do philosophy', exam preparation providing students with the philosophical skills they need to succeed, and an extensive glossary to support understanding, this book is ideal for students studying philosophy. bullet-point summaries of each topic. The companion website hosts a wealth of further resources, including PowerPoint slides, flashcards, further reading, weblinks and handouts, all structured to accompany the textbook. It can be found at　www.routledge.com/cw/alevelphilosophy.